The method used for the control of your singing voice is referred to as voice culture for singing. It involves scientific and traditional methods to enhance voice quality. Each person has a unique voice by nature, and has its own traits and limitations as well. Since you use it everyday for communications, you should take care of it. One of the best ways is to nourish and culture it to make your voice powerful. Voice culture is a way of training your voice to reduce the shortcomings and enhance its impressive traits. Is vocal and musical study the same? It’s absolutely not; they are 2 different concepts in the same channel. Musical study revolves around the music compositions, training of rhythm pattern, variety of ragas, and science of music. On the other hand, vocal study pertains to the presentation of different styles in singing, and the correct way of voice production. Singing Voice culture integrates several other features in which voice fields would need to be trained. For instance the mouth shape, good word pronunciation, voice adjustment for various speeds, tempos. In addition there is the control of amplitude and volume depending on the background that is being used for presentation, vowel pronunciation as well as improvising which is a very important aspect. 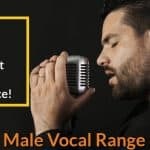 Voice culture for singing is supposed to be trained in accordance with the category of singing that a person chooses, for instance semi-classical, classical, rock, pop and folk among others. The reason for this is that every kind of music has its own demands in terms of voice production and style. Males and females have got distinctively different organs for producing organs. Therefore the training techniques are bound to be different. The voice could be the only natural instrument for music. Everyone has their special techniques therefore; all voices vary from one person to another. It is vital to establish that it is only this instrument that cultured, improved and cultivated though pitches variation, tonal quality (timbre), intensity as well as the features mentioned above. Simulation happens to be the initial step to learning and the same applies to vocal training. A key requirement is to involve listen keenly and by doing this, one’s brain makes up and maintains a mental picture of music. This includes the tunes, notes, speed, rhythm, volume, lyrics, voice tonal quality instruments and many others. For a person who is not able to hear a note, this kind of hearing defect is called tone deaf. This term also applies to one who cannot identify one note to another. If you have tone deaf, you may not be able to sing on pitch unless you undergo a specialized training to be able to distinguish between notes. The most important requirement for a person to sing on pitch is his ability to hear a note. In learning to sing on pitch, there will be not much singing involved in the initial steps. You have to become very familiar with the notes, their sound, and your ability to identify the sound between 2 different notes. Mastering and recognizing the notes, and mimicking what you hear are important aspects involved in the course about singing on pitch. This course refers to ear training which involves developing your ears to recognize and hear notes, as well as listening to scales. When you have achieved your target in ear training, you can start in trying to perfect your pitch and your ability to match the notes. 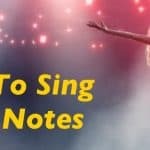 In doing this, you will notice that your voice is now blending perfectly with the note when you sing on pitch. Start with single notes first in playing a musical instrument like piano to test your ability. 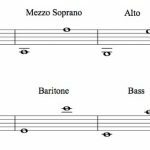 Choose a scale that rests on mid-range, then, apply the notes. When you are already comfortable with the notes, it’s time to try singing in full scale. This aspect is imperative when moving towards your singing styles. If we could control out breath then we could simply master our singing voices. Control of breath offers steadiness clarity as well as good voice phonation. The single most important thing to remember while singing is your breathing. Even some famous singers don’t take their breath correctly while singing resulting in loss of breath or a hissing sound. It is important that you breathe from your diaphragm. Practice to take long breaths from your diaphragm and then release it slowly and evenly as you hit the note. If you do this, your voice will sound full, open and clear. Trying to sing from your throat is an excellent strain for your voice and results in soreness of throat. If you declare that you’re having a poor voice that is why you are hesitant to train, then training is not really for you because you have easily surrendered. Therefore, your confidence and physically-readiness must be strong enough to go through these hard changes. Actually, you’re in greater need. 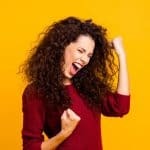 I have been in the teaching profession of voice culture for many years, and I haven’t come across any voice that could not be trained to be pleasant to the ear. If the owner of the voice has strong determination to make his/her voice beautiful, then it’s always possible. It’s a matter of working hard for some time to produce an improved, powerful and pleasing voice that you can be proud of. But if you neglect it now, it could be the worst thing that you could have done to your voice. Going over what we know and ensuring that it is perfected. By continuously exercising the related group of muscles and also the entire system of your singing voice projection are physically trained. These types of exercises vary depending on the genre of music that is sung. Voice factors including articulation, pitch control, and phonation also differ with all the style of music. The amount of time to practice your vocal is not identical and is mainly determined by the singers’ performance. With classical music there is certainly lots of improvisation integrated within the singing performance. That is why additional time needs to be devoted for that. In this instance, the voice culture practice sessions could possibly require 3 hours per session. If you think that your voice can train itself, it cannot. By merely using your voice does not mean that it could be helpful in enhancing it. You may find it continuously getting worse if you don’t use it correctly through natural means. Don’t expect any miracle in boosting the power of your voice, but just train it naturally. 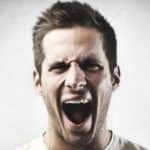 Why You Are Losing High Notes in Upper Vocal Range?